At the end of 2015, the U.S. Department of Transportation (DoT) launched a Smart City Challenge in which U.S. cities could submit proposals for funding to develop smart transportation systems that leveraged data and technology to improve urban mobility. In August 2016, nearly 80 applications and seven finalists later, the City of Columbus, OH secured a $40 million grant from the DoT. Almost a year and a half later, Columbus has built a lean team to execute its smart city vision, partnered with individuals and organizations across sectors, and received additional funding to implement its smart city proposal. Smart Columbus Operating System ­– a web-based data platform to serve as the single point of data collection and distribution for smart-city efforts. 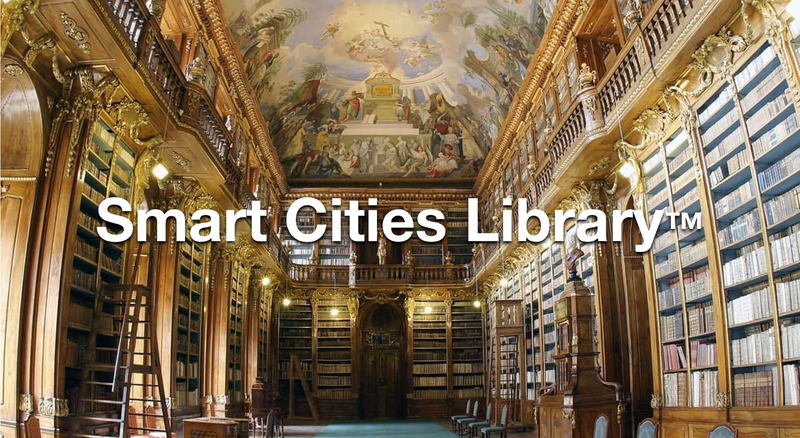 This platform is expected to be the central data layer for all Smart Columbus projects. Connected Vehicle Environment ­– the installation of 3,000 units in vehicles and at 175 intersections that enable cars to connect with one another and with city infrastructure. The units will be used to prevent car collisions and collect data around traffic patterns and safety. Multi-modal Trip Planning & Common Payment System ­– a central place for city users to plan and pay for trips involving multiple transportation modes. The solution aims to combine public transit with ride-sharing and other mobility options. Smart Mobility Hubs ­– single points of access for transportation that include WiFi, trip planning kiosks and pick-up/drop-off points for multiple modes of transportation. This effort aims to help users access transportation safely and more easily. Mobility Assistance ­– an application that provides mobility assistance to people with disabilities. The application enables these residents to use public transportation independently and safely. Prenatal Trip Assistance ­– an application to provide transportation to expectant mothers on Medicaid to get to non-emergency medical appointments. The application will enable these women to get flexible and reliable round trip transportation. Event Parking Management ­– a parking application for the Downtown and Short North areas. The application will inform users of available parking options and how to access those options. Connected Electric Autonomous Vehicles ­– six electric autonomous transit shuttles in the Easton neighborhood. The shuttles will connect riders from the Central Ohio Transit Authority (COTA) center to employment centers. Truck Platooning ­– truck platooning solutions in Rickenbacker, OH. Sensors will enable long-haul trucks in a convoy to connect and automatically coordinate speeds, braking and navigation with one another, resulting in fuel savings and emissions reductions. Additionally, Davis noted that the organization of these efforts has shifted from a model that was reliant on outside consulting to one that involves a joint operating structure between the Smart Columbus city staff group and the Columbus Partnership, a civic business organization focused on economic development of the Columbus Region. This structure enables the public and private sectors to work closely to achieve shared goals for the city. The city has partnered with numerous private sector organizations for funding and implementation. Outside of the original $40 million DOT grant, the city secured $10 million from Vulcan, the tech-focused philanthropic organization created by Microsoft co-founder Paul Allen. This funding will support transportation electrification through electric vehicle fleet adoption, consumer electric vehicle adoption, charging infrastructure, and decarbonization. Local businesses contributed an additional $90 million and reported funds have now reached a half billion dollars. Partnerships span from a collaboration with Google’s Sidewalk Labs for expectant mother transportation to work with DC Solar for mobile solar technology. In addition to funding, the Accelerator Partner Program ­– started in September 2017 with 44 active companies including IBM, Deloitte, AT&T and others ­– brings private-sector leaders together to drive culture change within their companies that will support smart and sustainable mobility. As part of the program, companies commit to five key engagements: 1) assigning senior leadership to the program; 2) ensuring electric vehicle ownership for company leadership or for corporate fleets; 3) installing vehicle charging infrastructure for company employees; 4) attending at Smart Columbus sessions; and 5) creating incentives for smart and sustainable transportation behavior across the workforce. Outside of the private sector, Columbus has also collaborated with other cities such as Cincinnati, Cleveland and Greensboro in order to share insights and best pracitces on as it relates to process and partnerships. Two of the challenges going forward, according to Davis, are ensuring the sustainability of funding for the city as well as keeping up with the technology industry. Given that the industry is evolving so quickly, Columbus will need to start making big bets on which technologies to deploy for its efforts. Right now, the city is focused on securing another $500 million investment, to reach a goal of $1 billion in aligned investment by 2020. Other goals include having 100 companies in the Accelerator Partner Program, increasing electric vehicle adoption rates by 4X, and reducing single occupancy vehicle use by 10 percent. With respect to the timeline for the city’s projects, deployments are expected start in late 2018 and extend into 2019, and the city will share learnings in 2020.